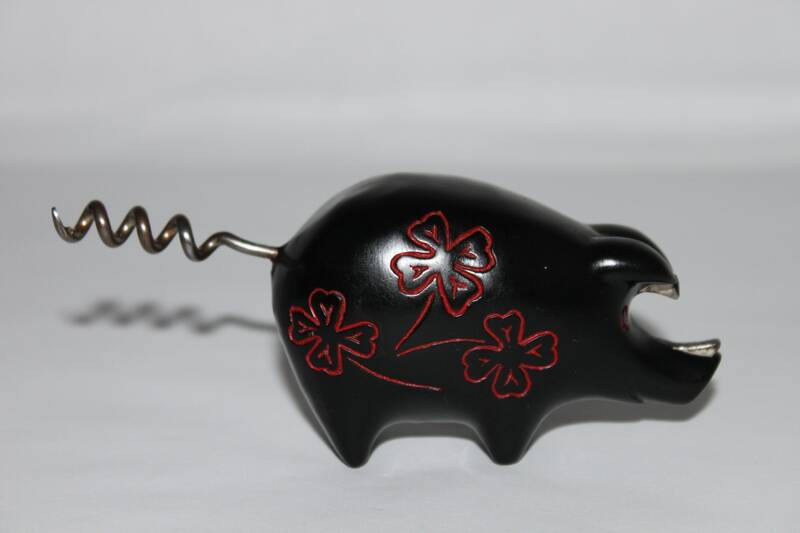 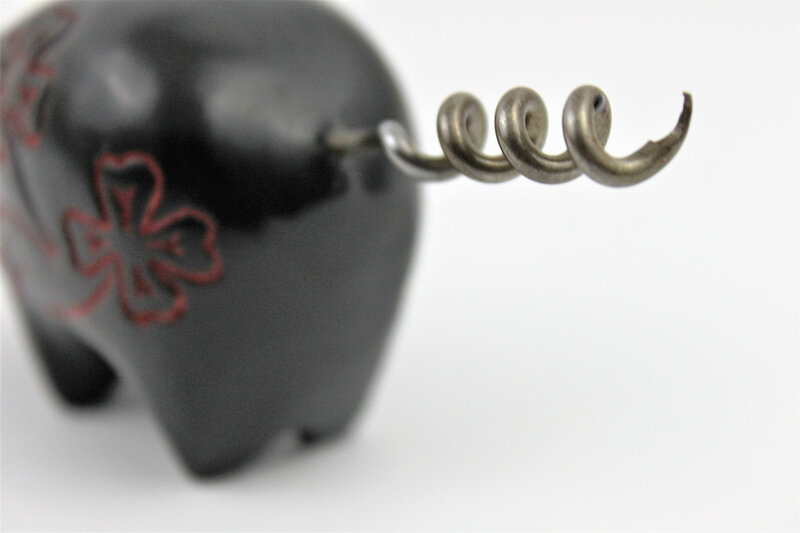 This is the famed Howard Ross Patented Pig Corkscrew it was patented in 1949 this little piggy came in 5 commonly found colors Black, Red, Cream, Yellow, and Green to have a collection of all 5 is quite a challenge. 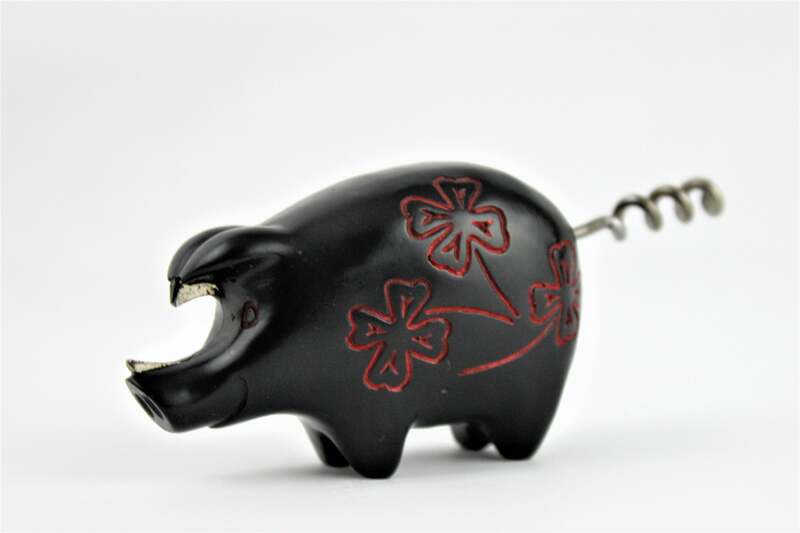 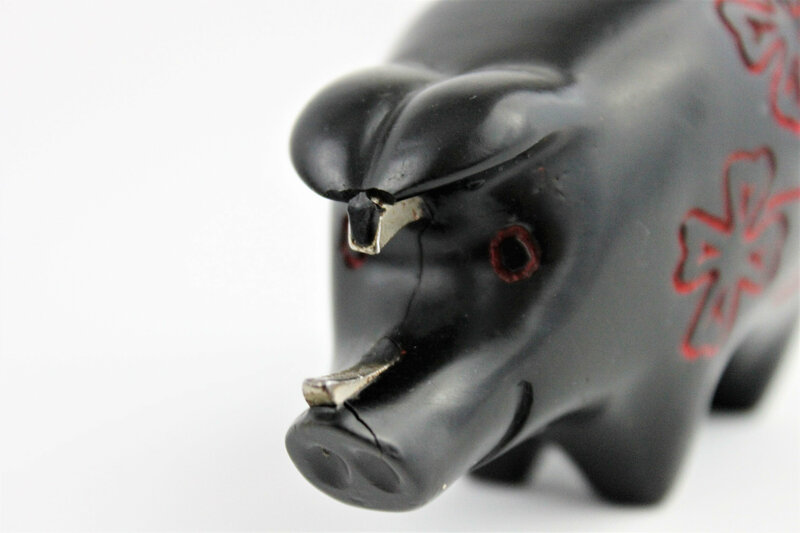 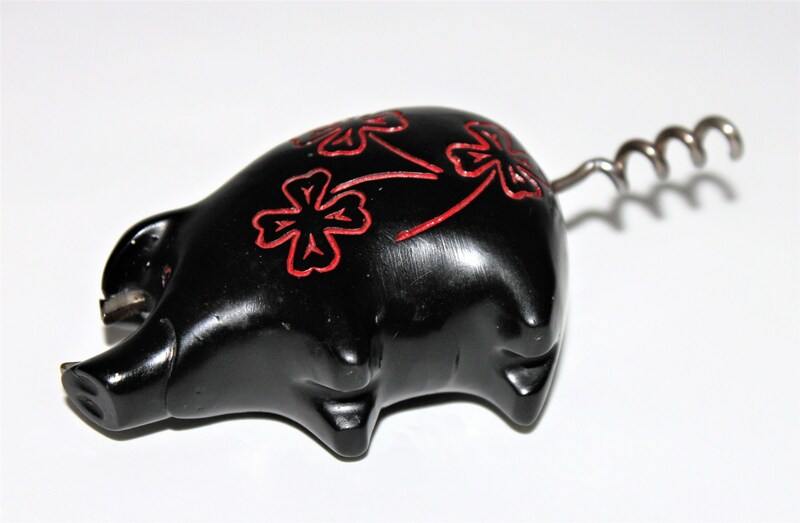 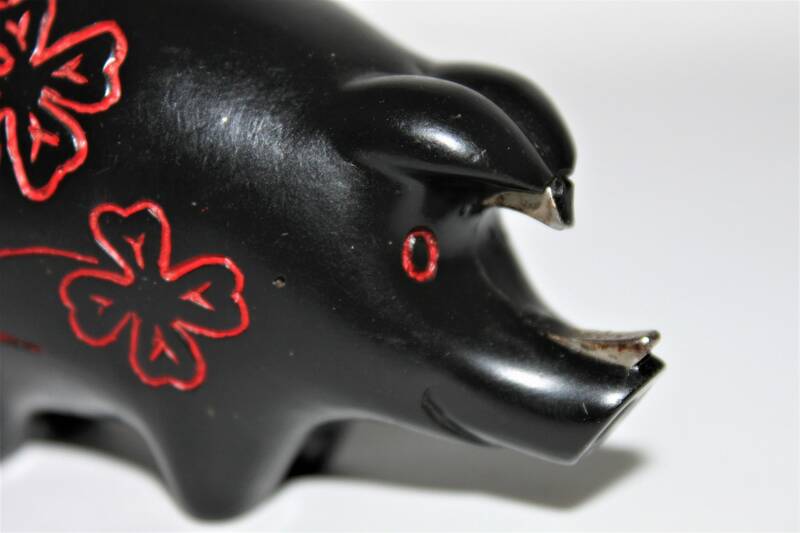 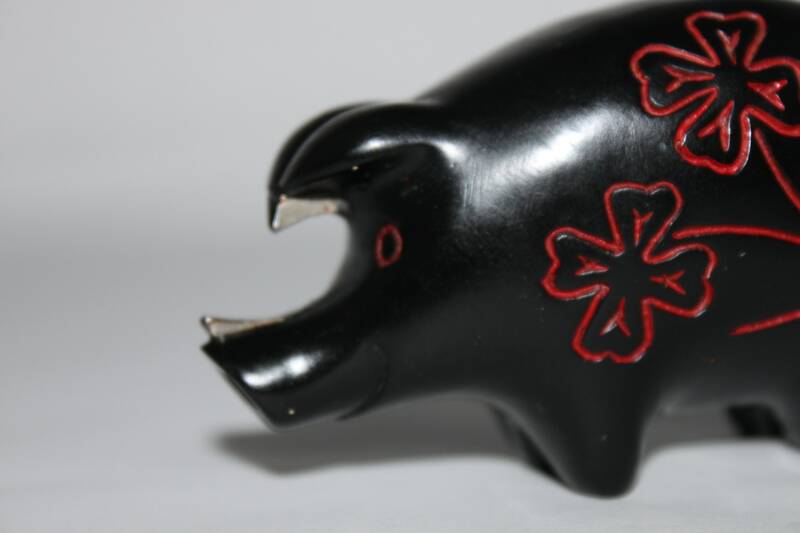 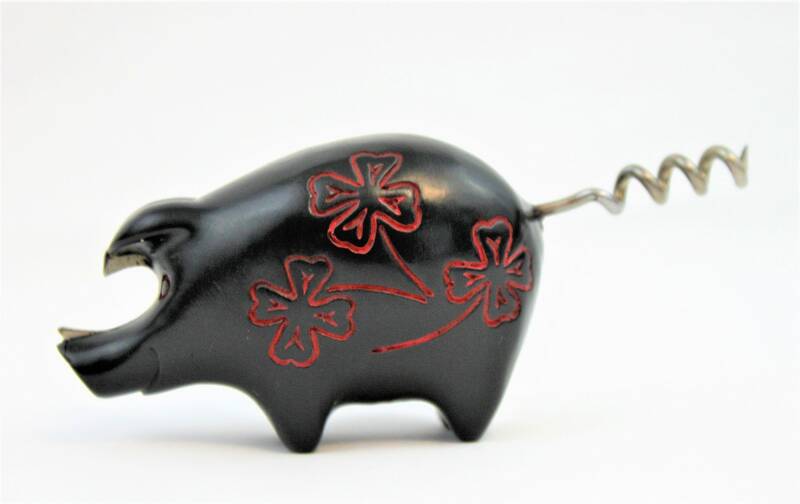 Made of a hard-plastic composite with corkscrew tail and a bottle opener snout, these are commonly found with cracks and chips in the plastic around the snout this one is in very nice condition with only minor damage. 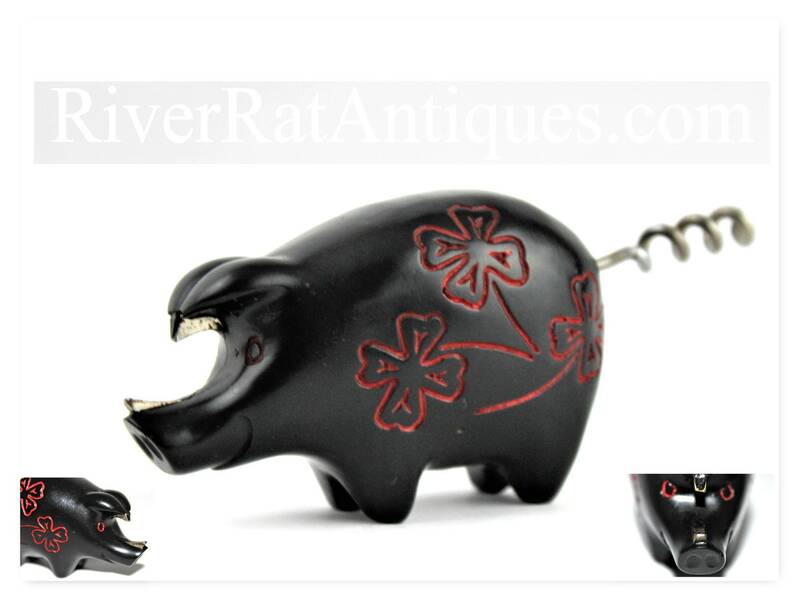 This is a great piece for your collection. 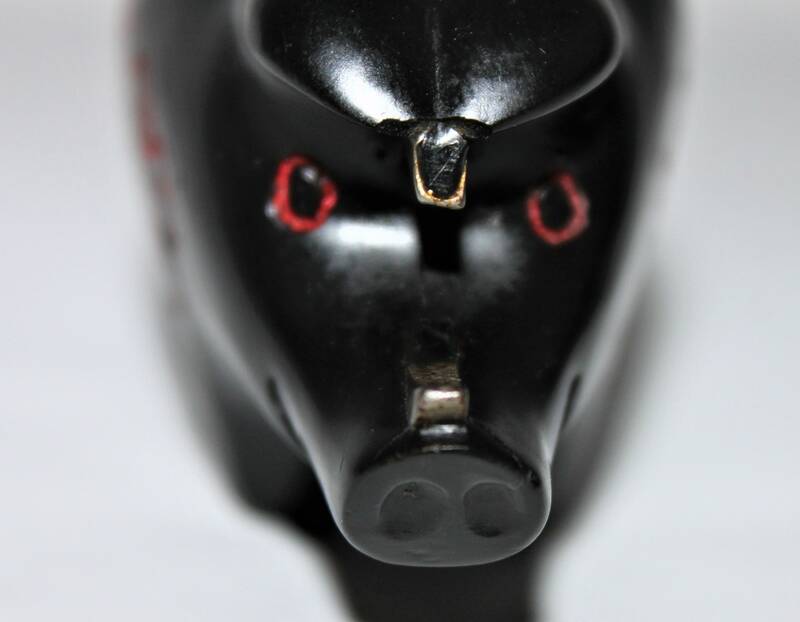 Condition: Very good with minor crack on the snout and tip of ears (this is very common) please see all pictures.